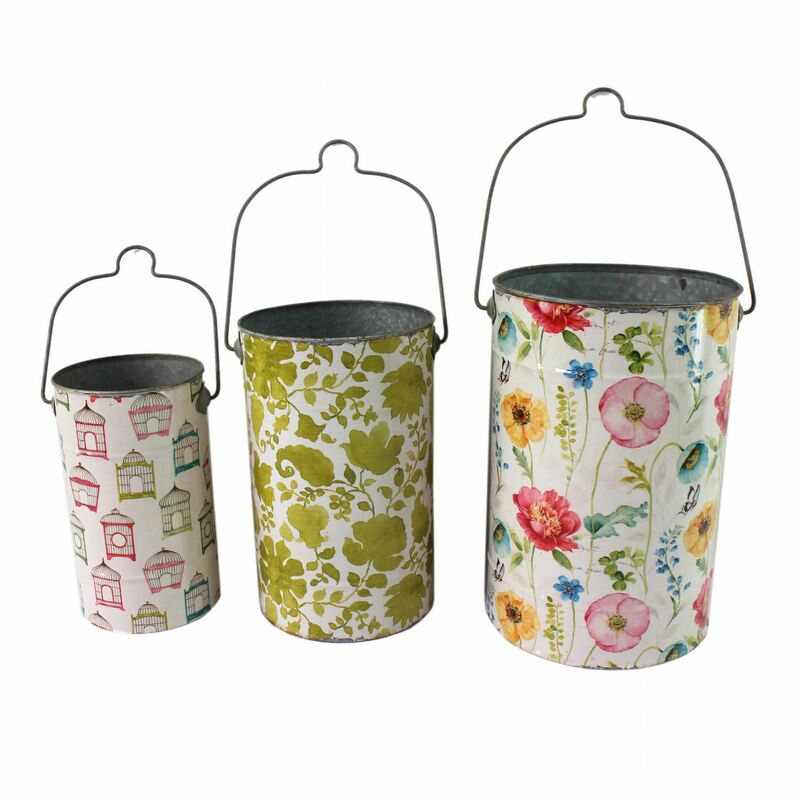 Add a pop of color to your home with the Set of 3 Floral Buckets. Each metal bucket in this set of three features a different pattern: the large bucket has bright blooms, the medium bucket with verdant green leaves, and the small bucket with colorful birdcages. Each bucket has a handle for easy carrying. Add a pop of color to your home with the Set of 3 Floral Buckets. Set of 3 Floral Buckets.